Young cannabis users are at higher risk for ischemic strokes than those who don’t smoke marijuana, according to a recent University Hospital of Strasbourg study. The French team studied 334 patients under the age of 45 who had suffered this type of stroke, which is caused by an obstruction in blood flow to the brain. 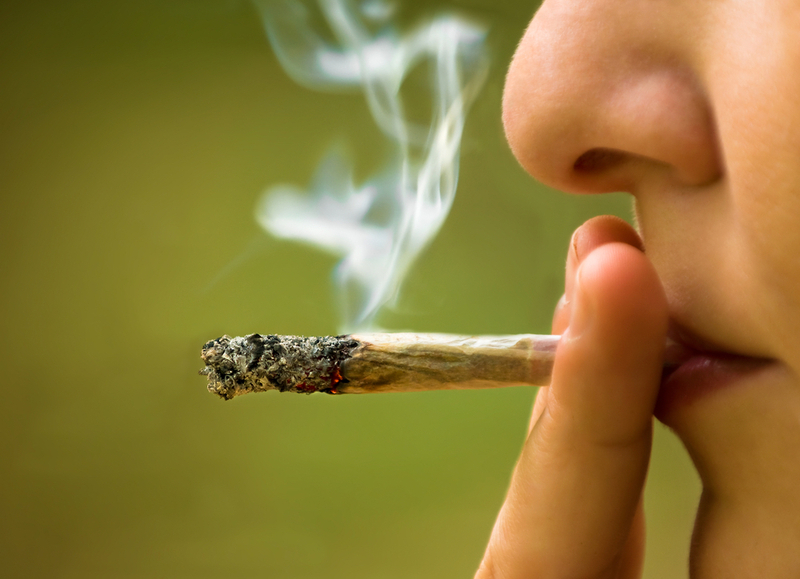 Fifty-four of the study participants were marijuana users. While prior research has reported links between pot use and stroke incidence, the French study is the first of its kind to compare stroke differences between users and non-users. Findings were published in the Journal of the American College of Cardiology. • Arterial narrowing (stenosis) was the stroke cause in 45 percent of cannabis users while stenosis was the stroke cause in only 14 percent of non-cannabis users. • Blood clots that shifted from other body regions to the brain were the most common causes of stroke (29 percent) in non-marijuana users. • Marijuana users who experienced a stroke were younger than other stroke patients. • The marijuana-stroke patients were more likely to be male, more likely to smoke, and more liable to exhibit additional lifestyle risks. “The effects of cannabis have been considered benign for a long time; however, evidence continues to build about the relationship of its use with stroke,” said journal editor-in-chief Dr. Valentin Fuster. The French study did not find that marijuana use causes strokes, but it is another indicator of the concerning link between the drug and this particular type of brain attack. If you’ve fallen prey to the belief that marijuana is a harmless social drug, you may need help. Hope Academy serves young adults struggling with marijuana addiction, marijuana abuse, drug addiction, alcoholism, and other unhealthy dependencies. To learn more about our drug rehab, sober college, and aftercare services, reach one of our team members at 866.930.4673 today. *For the latest information on ischemic stroke causes, symptoms, and treatments, visit the National Stroke Association website. Full study findings: Valérie Wolff, Ielyzaveta Zinchenko, Véronique Quenardelle, Olivier Rouyer, Bernard Geny. Characteristics and Prognosis of Ischemic Stroke in Young Cannabis Users Compared With Non-Cannabis Users. Journal of the American College of Cardiology, 2015.